Marina Abramović has cultivated a very public persona throughout her multidecade career, but her personal living space is much more private. In fact, the 72-year-old Serbian performance artist has a thing for simple design: functional objects, basic furnishings, and an overall meditative, stripped-down aesthetic. She appreciates being in touch with nature, as well as the spiritual vibrations that can originate in certain natural and architectural sites. 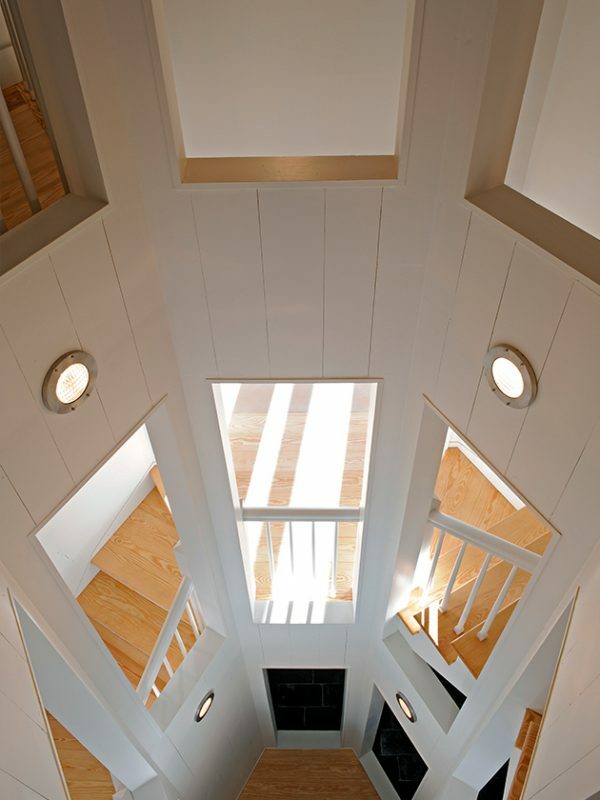 Her home – known as “Star House,” a title that refers to its unusual six-pointed layout – strongly reflects her character. Located almost three hours north of New York City, the villa is on an estate comprising several hectares of meadow and woodland, as well as a river. Malden Bridge is a tiny town in the greater Chatham area, with its farmland and lovely historic homes. Just across the Hudson River are the Catskill Mountains and the town of Woodstock. 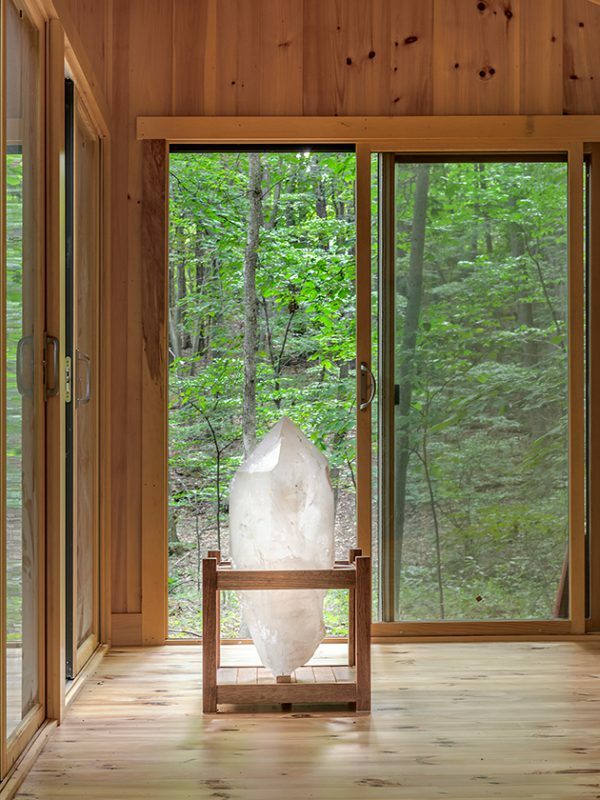 The region is known for more than just its natural beauty, though: It also boasts a rich history of arts, culture, and especially antiques, which is why Abramovic, on the drive upstate from New York City, likes to stop and pick up one-of-a-kind furniture and decorations at the local shops. When she acquired the property in 2007, the walls were covered in murals and the floors were made out of a grainy yellow pine that she hated. 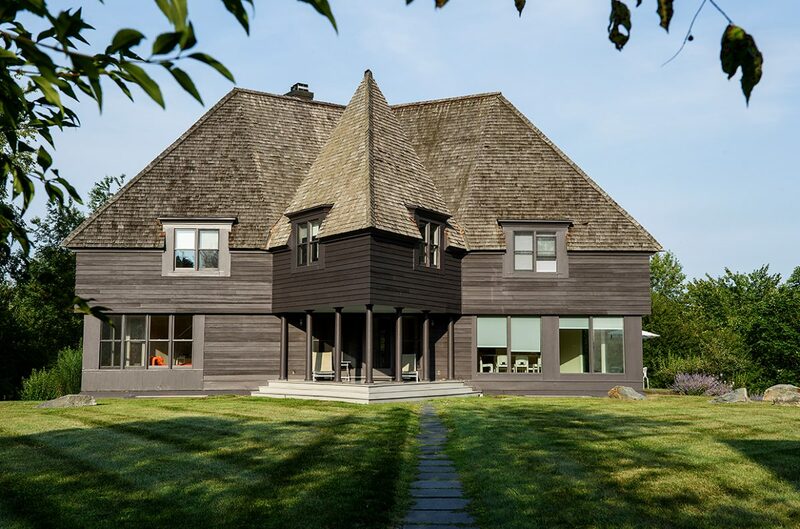 In her quest to improve the space, she tracked down its creator: the New York-based architect Dennis Wedlick, who designed the 3,400-square-foot house in the 1990s. Abramovic, who is known for being bold, reached out immediately to Wedlick and left a message: “This is Marina. I just bought your Star House, and I have a sofa arriving tomorrow, and I need you here.” The partnership would become a match made in heaven: “I totally fell in love with her,” Wedlick told the New York Times. “She has the most ordinary persona for someone who does such extraordinary, controversial work.” In the months that followed, Wedlick threw himself into the project, and the two got to know each other well. “Marina doesn’t point out details,” he said. “She only tells you one or two ideas. She never changes her mind: She makes a decision and moves on to the next thing.” Following Abramovic’s instructions to strip everything down, Wedlick had the walls and ceilings painted white. The floors were refinished with Bona Naturale, a treatment that softened the grain ­without adding sheen and resulted in a smooth, pale finish. The columns were removed from the entrances; the circular driveway out front was also eliminated. Today, what remains is a space devoid of any superfluous detail, profoundly sober and quiet. The spacious, light-flooded rooms are home to some carefully selected furnishings that include a Patricia Urquiola sofa, a Cappellini table, and various objects designed by Achille Castiglioni, Jasper Morrison and Isamu Noguchi. The focus on simplicity, on providing a place of refuge, serves as a counterweight to Abramovic’s career, in which she perpetually exposes herself to a degree nearly unmatched by any other artist. The setting lends itself to a deeper form of catharsis and introspection. “The house has an unbelievably peaceful energy. 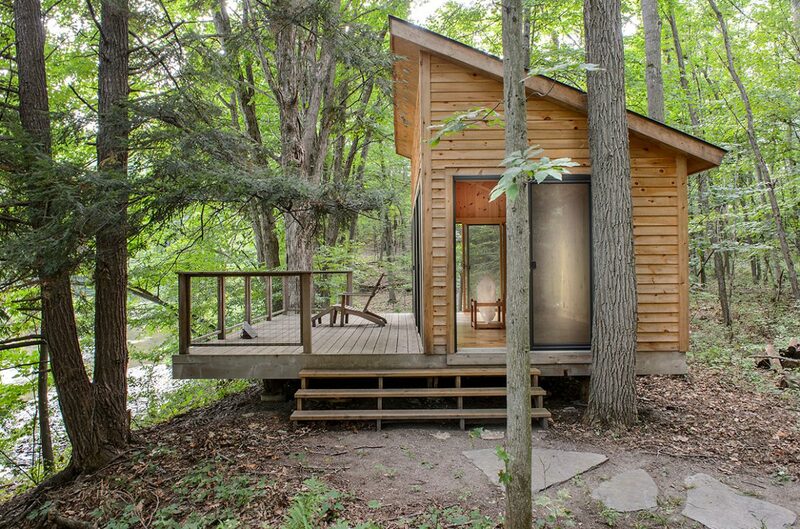 It is a place to rehearse, rest, and think between projects,” the owner once explained. She can spend long hours meditating and training for her challenging performances, during which she displays extraordinary stamina. All elements related to her work life are kept out of the actual living quarters, in a spacious bright red barn. “I have two hangars on my land full of stuff from all my shows and my life,” ­Abramovic has said, explaining that the Japanese make use of this material work-life separation to great effect. They have large storage spaces and constantly change the look of their surroundings by bringing one vase out in the winter and another one out in the summer. Abramovic’s walls are also free of artwork and decorations: “I don’t like to hang paintings on the walls. 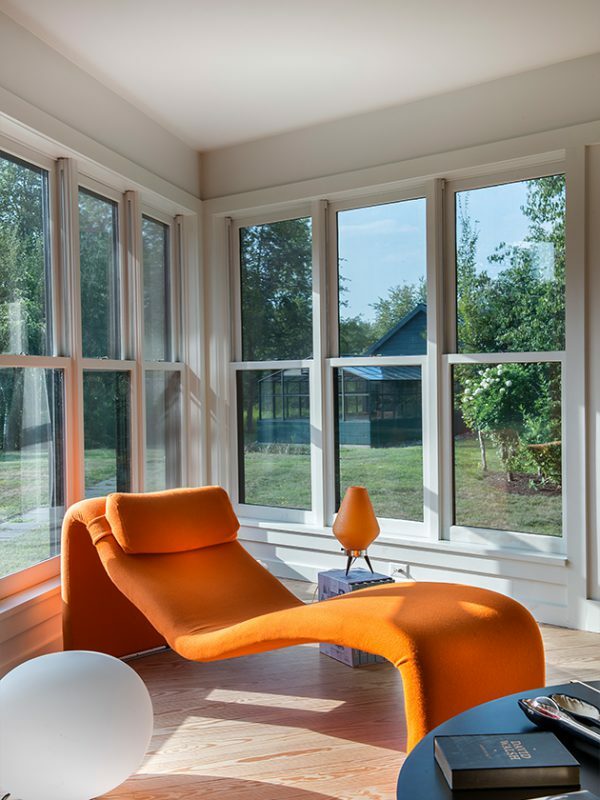 I’m an artist and I need white space to think.” Color still manages to find its way in, however, whether in the form of an orange 1965 Olivier Mourgue Djinn Relaxer, a red Kazuhide Takahama Suzanne sofa from the same year, or as a cobalt blue 1969 Bouloum chaise. Whenever Abramovic heads up to Malden Bridge (she splits her time between Star House and a loft in SoHo, New York, but considers the former her true home), what she really wants is a slower pace of life. She prefers remaining on the grounds of the estate, inviting her friends over for visits. When she does go out, she likes to support local farm stands, as well as the Crandell Movie Theater in Chatham, the Bartlett House in Ghent and the Basilica Hudson in Hudson. 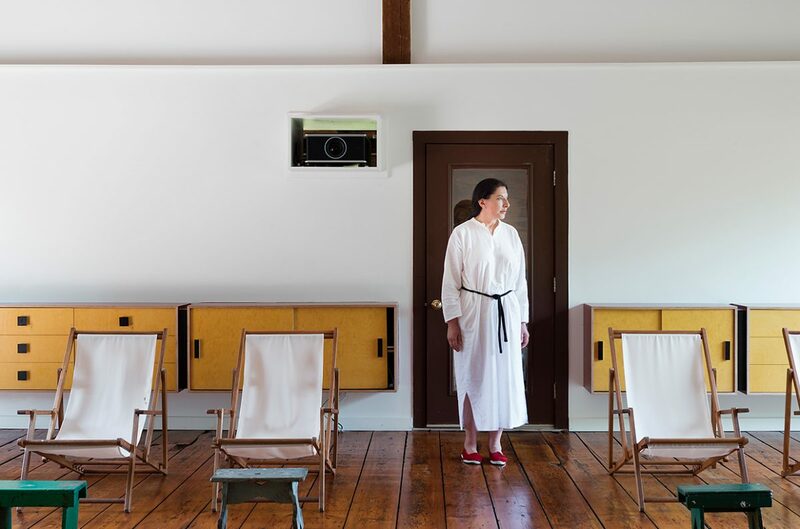 Abramovic also uses her home as a temporary space for the ­Marina Abramovic Institute (MAI), since the MAI is currently without a permanent space after financial limitations forced her team to abandon plans to convert an old theater in the nearby town of Hudson. 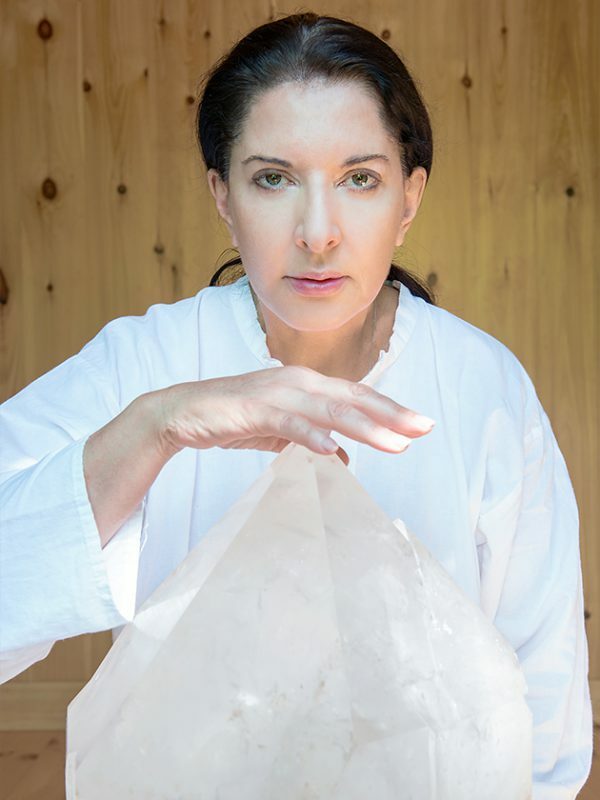 At Star House, Abramovic organizes workshops comprising “consciousness-raising exercises” that include slow-motion walks, sitting in the forest blindfolded, counting grains of rice, and meditating inside of a crystal cave – powerful experiences that are meant to alter participants’ beliefs and perceptions.